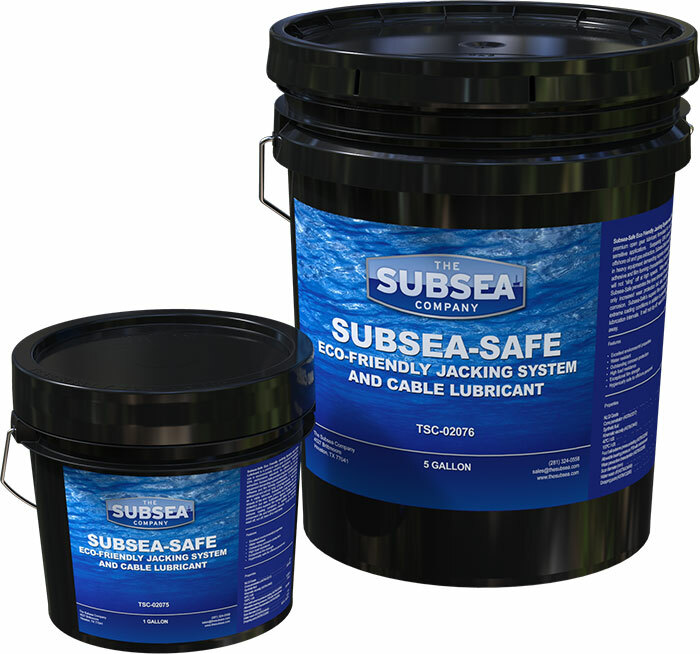 Subsea-Safe Eco Friendly Jacking System and Cable Lubricant is a premium open gear lubricant formulated for use in environmentally sensitive applications. Surpassing EPA performance standards for offshore oil and gas extraction, Subsea-Safe provides long life protection in heavy equipment demanding superior lubrication. Exhibiting strong adhesive and film forming characteristics, it is completely waterproof and will not “sling” off at high speeds. When used as a cable lubricant, Subsea-Safe penetrates the inner strands of the wire rope, providing not only increased wear protection but also fortification against fretting corrosion. Subsea-Safe’s superior film strength offers resilience under extreme loading conditions in addition to extending component life and lubrication intervals. It will not dry off, wash off, run off, blow off or melt away.